NEWS ANALYSIS: Norwegian Climate Minister Tine Sundtoft was all smiles after playing a key role in the historic global climate deal struck in Paris over the weekend. Her government colleagues were smiling, too, and didn’t seem to think the deal will force Norway to cut back on the country’s oil and gas production, even though environmental advocates were determined it will. There was great disagreement back home in Norway over what the results of the UN climate summit in Paris really mean for Norway’s oil and gas industry. Most everyone involved, on both the right and left sides of Norwegian politics, hailed the agreement as a major turning point in efforts to halt climate change by reducing carbon emissions worldwide. Sundtoft of the Conservative Party could return home Sunday as a rather unlikely heroine, but local debate over the agreement’s actual consequences for Norway was already flying. If Norway is to abide by the agreement, environmentalists claim, it must make serious and meaningful emissions cuts at home. Given Norway’s small population, it’s long been argued that such cuts can only be made by cutting back on the country’s own production of fossile fuels. “For Norway, this means ‘full stop’ for all new oil production,” claimed Lars Haltbrekken of Norway’s chapter of Friends of the Earth (Norges Naturvernforbund). He stated that the Norwegian government could simply cancel its 23rd licensing round for new oil fields, especially those in the Arctic. Lien, who like most oil ministers before him generally promotes Norwegian oil and gas and shields the industry, also claimed that Europe especially needs Norway’s natural gas as an alternative to coal-driven energy sources. Prime Minister Erna Solberg of the Conservatives, Sundtoft’s boss, has also used a need for gas to justify more exploration and production, also in the fragile Arctic. Karl Eirik Schjøtt-Pedersen, a Labour Party veteran who now heads Norway’s oil and gas industry association Norsk olje og gass, told newspaper Dagens Næringsliv (DN) on Monday that he wasn’t threatened by the Paris climate pact. Instead of being the problem, he said the industry sees itself as “part of the solution” towards reversing climate change. One thing seemed certain, however: Sundtoft will need to put pressure on her fellow government ministers in Norway, to toughen their own climate policies. DN’s commentator Kjetil Alstadheim, who was in Paris and flew back with Sundtoft, wrote that the tempo of climate measures will need to pick up, local governments must lay plans for more climate-friendly cities and town, transport and energy demands must be reduced, more improvements must be made to public transport and more climate-oriented tax reform must be introduce. Norway also may not be able to rely as heavily on buying climate quotas, to finance emissions cuts abroad instead of making cuts at home. 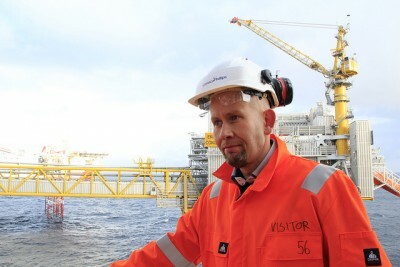 The biggest question, though, is what Climate Minister Sundtoft will say to Oil Minister Lien, who is among the most keen within the government to shield an industry that remains the country’s most important source of jobs despite the current downturn caused by lower oil prices. At the very least, there was a general consensus that the spirit of the Paris climate agreement will make it difficult for Norway to maintain production of Norwegian oil and gas at its current level. Norway’s largest newspaper, Aftenposten, also editorialized on Monday that the new licensing round to open up new areas of the Barents Sea to oil and gas exploration would be “incompatible” with the agreement. Investors and businesses not only in Norway but all over the world will also need to follow the so-called “green signals” they’ve received, in order to ultimately stay in business. EDITOR’S NOTE AND UPDATE: Tine Sundtoft ended up being replaced as Norway’s climate and environment minister, part of a ministerial reshuffle just days after her triumphant return from Paris. She claimed she had asked to be relieved of her duties, after two years of marathon work hours. Vidar Helgesen, Norway’s former government minister in charge of relations with the EU, was named to replace her. 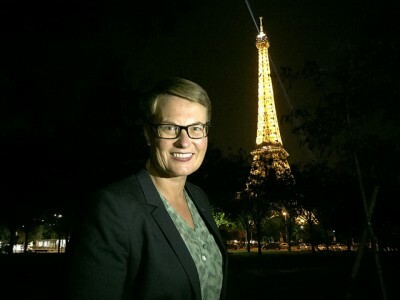 The move means that Sundtoft won’t be following up the agreement struck in Paris, with Helgesen (from her own Conservative Party) taking the helm instead. Environmental activists were disappointed and have demanded that the Norwegian government recognize that meeting the Paris pact’s terms ultimately will require reduced oil and gas exploration and production.